WordPress Backup Solutions – What to look for! Do you have a backup strategy for your WordPress site? This (not so) tiny article discusses the proper way to archive your data, shows the various options available to do the same. If you ever care about your WP powered site, take a minute to read further. Whenever someone tells you to take a backup (ex: before upgrading WP core), and if you asked this question (to the other person or to yourself), pat yourself on the back. Basically there are two things to backup. The files, including the files not related to WordPress in particular. If your host provided you with cPanel, it would also come with phpMyAdmin. Here is a great article on how to take a backup using phpMyAdmin. Depending on what control panel your web host provides, the instructions may vary. If in doubt, search your host’s help center. When it comes to files backup, it is easy to forget the hidden files such as the .htaccess file. It is not just the .htaccess file in the root of your website, but there may be other areas where a .htaccess file may reside. 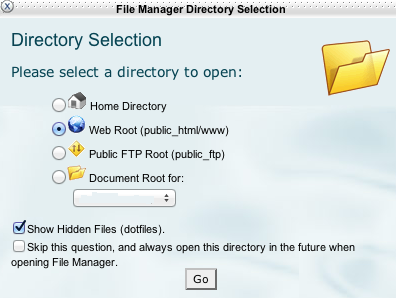 If you use cPanel’s File Manager, then you should check “Show Hidden Files (dotfiles)”. If your web host uses a different control panel, check out its help pages on how to see hidden files. If you use (S)FTP client to do a backup, then you may want to go through the options available for that particular client. Almost all (S)FTP clients have an option to show (and hide) hidden files. Where to store my archived data? These can be very useful, if the changes done by you (or your developers) broke the website. It is also the fastest way to create, store and restore the backups. You never know if or when something goes wrong with the web host. 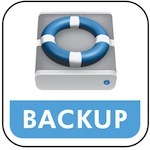 There are multiple occasions where a web host failed to create or keep a backup. When it comes to backup, please remember to never trust your web host. Never. A word of caution while using a plugin – Some plugins only take a backup of the files and some others only take care of the database. Please remember to choose the right plugin/s. Yes, backups of files and the database can be done without using a WordPress plugin or without affecting the performance of your site. It works outside WordPress and is probably more reliable method than using a plugin. But, that’s a post for another day. Stay tuned! Thanks for the link to your article, Anders. I do agree it’s important to make sure the backups are secure and are done periodically. I visited your site and it’s great to see a site discussing WordPress security in depth. Previous PostPrevious Do “Not” Update WordPress Core Now!